The Air Force Second Space Operations Squadron (2 SOPS) reports that the GPS Block IIF-11, (SVN-73/PRN-10) satellite has been set healthy and is fully operational. Launched October 31, SVN-73 has replaced SVN-47 in the E plane slot E2. SVN-47 is now being re-phased from the E2 location to a newly defined E5 node (geographical longitude of ascending node [GLAN] = 160°) and is expected to arrive there sometime in April 2016. SVN-34/PRN-04 has been taken out of the operational constellation and sent to Launch, Anomaly Resolution, and Disposal Operations (LADO). 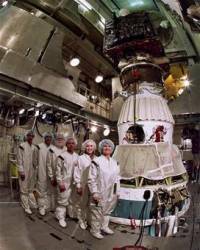 PRN-04 is tentatively scheduled for assignment to the final Block IIF satellite, scheduled for launch in February 2016.